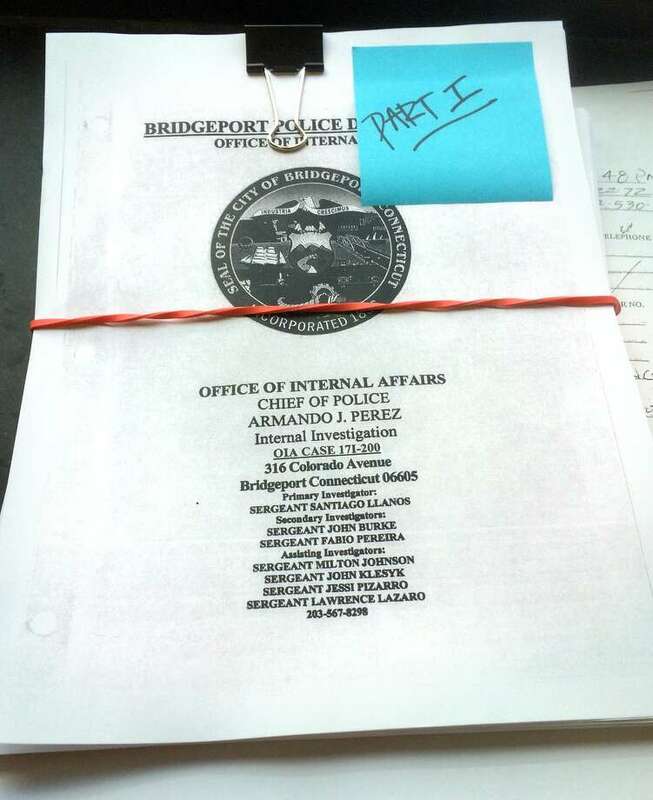 The cover page of an city Office of Internal Affairs report concerning the conduct of police officers who broke up a 2017 party in Bridgeport. 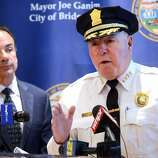 BRIDGEPORT — A senior city police official, accused in an internal investigative report of “turning his back” as his officers allegedly pummeled a handcuffed man while breaking up a party in 2017, was recently promoted and then allowed to retire on the same day with the benefits of the higher rank. Robert Sapiro, a 27-year veteran of the police force, retired earlier this month as a captain, as part of a settlement with the city of his outstanding federal lawsuit against the city. In addition to the promotion, the city agreed to pay Sapiro undisclosed compensation and attorney fees. Deputy City Attorney John Bohannon and Milford lawyer Richard Buturla, who represented the city in the case, confirmed that a settlement was reached with Sapiro, but declined to comment further. Sapiro’s lawyer did not return a call for comment and Sapiro could not be reached. In a 405-page report completed on Nov. 16, 2018, the city’s Office of Internal Affairs found Sapiro and 16 other officers violated Police Department rules and regulations regarding their response to a noise complaint of a party on Colorado Avenue on Oct. 21, 2017. Specifically, Sapiro, who was the chief supervising officer on duty at the time, was cited for not properly supervising the officers under him. “Lt. 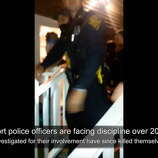 Sapiro made a conscious decision to refrain from providing direction and leadership to officers engaged in acting outside of department policy and procedures,” the report states. The report states that video shows that Sapiro entered the incident scene as officers were apprehending one of the partygoers, Carmelo Mendez. “The video shows Sapiro walking onto the property, he looks three times at the officers taking Mendez into custody on the ground to his left. 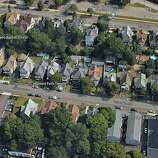 He continues to walk further into the rear yard and out of view of the video camera completely ignoring what is taking place with the officers and Mr. Mendez,” the report states. According to court records, a settlement conference of Sapiro’s pending lawsuit against the city was held on Oct. 2, 2018. On Jan. 8, 2019, both parties reported that they had reached a settlement and they were granted an extension to close the case to April 4. In November 2016, Sapiro, then a captain and head of the Police Department’s training academy, was caught up in a controversy over a racially themed letter that was passed around the police department. 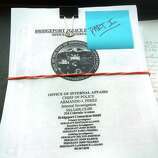 Blackwell denied ordering Higgins to write the letter. He was supported by Sapiro, his supervisor, who told his superiors he believed Blackwell was the victim of racial discrimination in the department. Although the disciplinary investigation of Blackwell was begun under Police Chief Joseph Gaudett, Armando Perez took over the case when he became chief. While Perez later found there was no credible evidence that Blackwell directed the writing of the phony racist letter, he demoted both Blackwell and Sapiro for violating department rules. Both men filed lawsuits against the city. 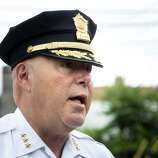 In January, Blackwell was promoted to captain as part of a settlement of his lawsuit, in which he claimed he was being discriminated against because he is African-American. Sapiro, who is white, claimed in his lawsuit that he was retaliated against for supporting Blackwell.